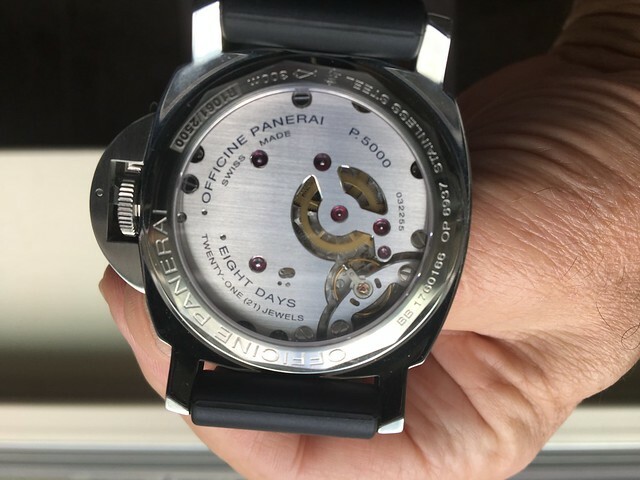 This is a 44mm PAM 510 8 day manufacturer movement watch, depth rating 300 meters. Unlike many watches with large bezels and small dials this watch is almost all dial greatly improving legibility. Clean and simple. ...but those bezels, central seconds, and most importantly minute markers serve a function! Congrats though - it's a nice watch. Thanks. That's true, but many are just way overdone so many markers they look like a sprinkled cookie. Submariner has been around for years and it just adds a simple bezel. BTW these worked fine for Italian WWll frogman. Yep 10-4 to that Karl bezels are useful to set start time when too much oxygen fogs the memory. :-) As per diving I like my Seiko for that, no worries about smashing it. Hey Karl , got a Seiko for you. Just read up on the new Grand Seiko dive watch for 10K. I doubt that one will see as much water as my $300 Seiko with coral scrapes on it. I'll probably never be able to get it, and, as stated previously, I'd be scared to dive with it. Like you, my old 150M, auto Turtle handled the rough stuff. Interesting isn't it? Now you want something with at least 200M before diving with it, say you use a watch at all today, and yet those old Seikos never missed a beat. Heck, I don't believe that even Seiko makes anything for serious diving less than 200M now. Those were fun days. just for sh...and giggles, does it have a left hand version as well? Congratulations! 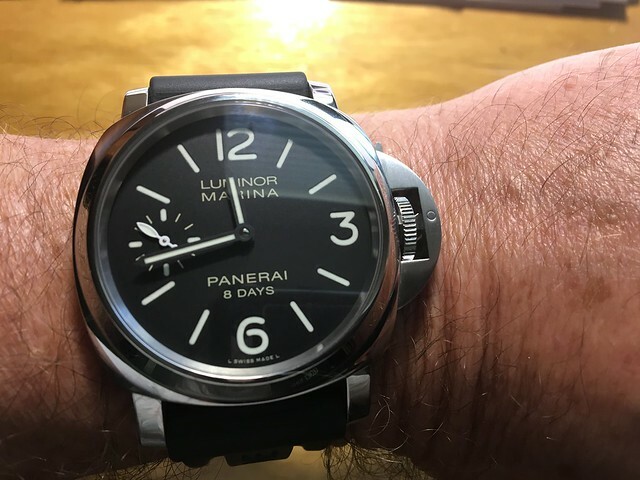 I love the watch but I just can't call it a diver without a marked rotating bezel. But somehow I don't think you'll be diving with it anyway.